Pay no attention to the man behind the curtain… unless that man is Joey Figueiredo, co-owner of Daicy Figueiredo based in Prairie Village, Kansas. 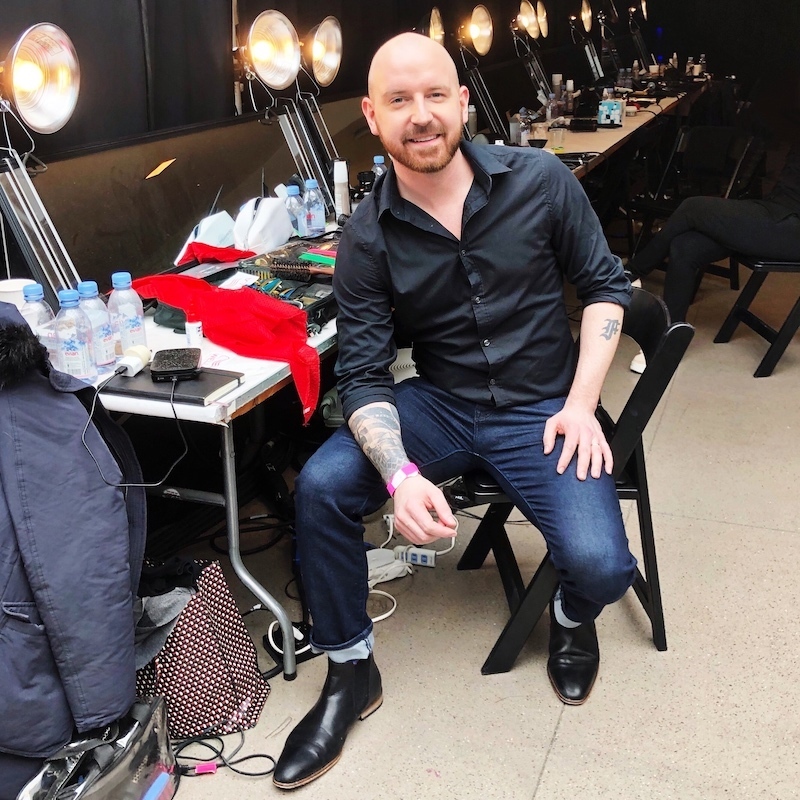 With a contagious energy and an infectious passion for uplifting the beauty industry, he caught our attention, landing himself a spot as one of our 2019 Faces of Sola. Joey is no stranger to working behind-the-scenes, whether it’s behind the chair, behind the camera or, most recently, behind the scenes at New York Fashion Week. If you follow this Instagram rockstar @stylistjoey, you’ve seen how his eye for creativity extends far beyond hair. We are so inspired by this artistic go-getter so we sat down and had him share his backstage backstory, some trade secrets, how-tos, and advice to those of you who one day wish to also be behind-the-scenes. Sola: Hi Joey! Before we talk about what happened at NYFW this year, let’s touch on your previous experience and history with the event. You’re kind of like a Fashion Week staple. How long have you been working backstage and behind-the-scenes? Joey: I have been working for different brands and designers behind-the-scenes for about six years now. And who was the first designer you ever worked backstage for? Oh, that would be for CZAR with the Australian hair brand called Original Mineral, O&M for short. Let’s talk about the looks you helped bring to life backstage. Which shows were you part of? Because I am an educator for EVO, I worked backstage for their show with designer Collina Strada, with Hair Direction by Gareth Bromell. I was also backstage for the manufacturer Anti-Collective who was styling for KAIMIN with Hair Direction by Peter Gray. I created a black wig for that show. And then for the designer Zimmerman, Hair Direction was by Renya Xydis for Wella Professionals. How does one prepare for this sort of task and what are some of your must-have tools and products for Fashion Week? First, you have to make sure you have everything you think you need. Usually, they will have trial days beforehand with specifics but bring your obvious tools like a blow dryer, flat iron, bobby pins, clips, various brushes, and combs. Products are usually provided by the brand you are working for that's sponsoring the designer. If you use other brand’s tools, make sure to cover them because everything is photographed. 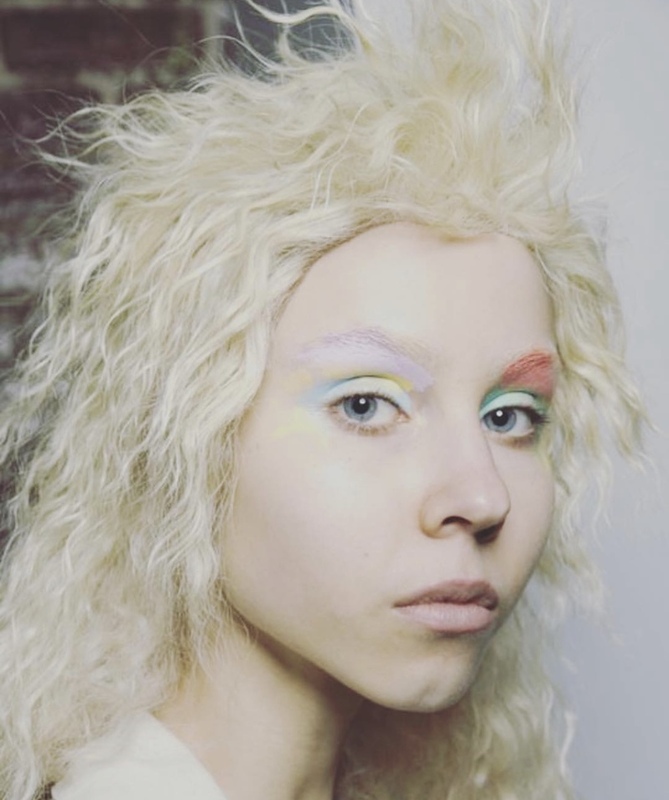 Can you talk about the look created for the Collina Strada show, and share some tips on how our Sola stylists can recreate that look in their salon? For these textured curls, use EVO’s haze styling powder and Macgyver Multi-Use Mousse to prep the hair. Then use a tong iron, or a very small iron, taking small sections. Once the entire head has been curled, brush it out to give you that dry, brushed-out look. You can also use a flat iron to create texture as well when needed. 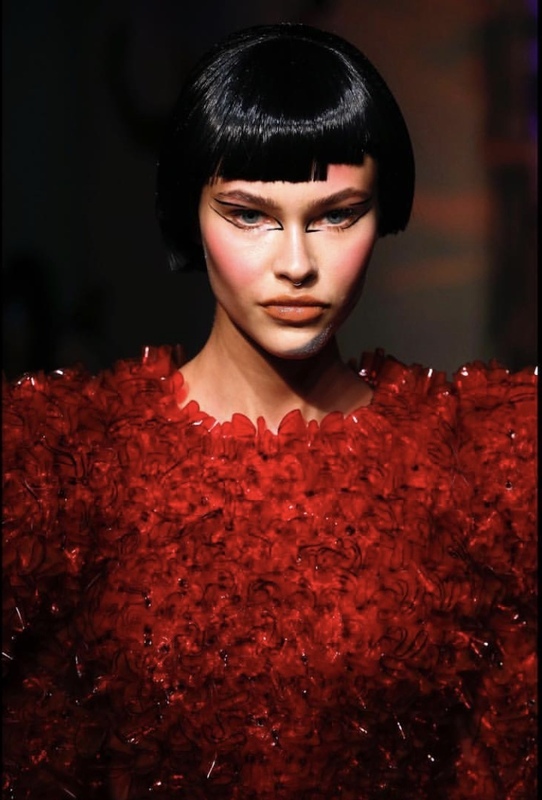 The look that was created for Wella Professionals—the finger-wave fringe and loose texture—tell us more about that. This is movable texture that's never too perfect. You would create this look using texture spray and roll your iron around the curl. Not too perfect though. You want it to have that “just woke up from a good night of fun” hair. That, right there, is the Zimmerman Texture. For the fringe area, create a finger wave and diffuse the heat until it's 100 percent dry and then brush it out. And I had to save the best for last—the sleek black bob with the bangin’ asymmetrical fringe. Yes! I personally cut and created that from a wig. We created very modern and sleek looks—very Vidal Sassoon or ZGAT inspired. Sleek, geometric shapes. 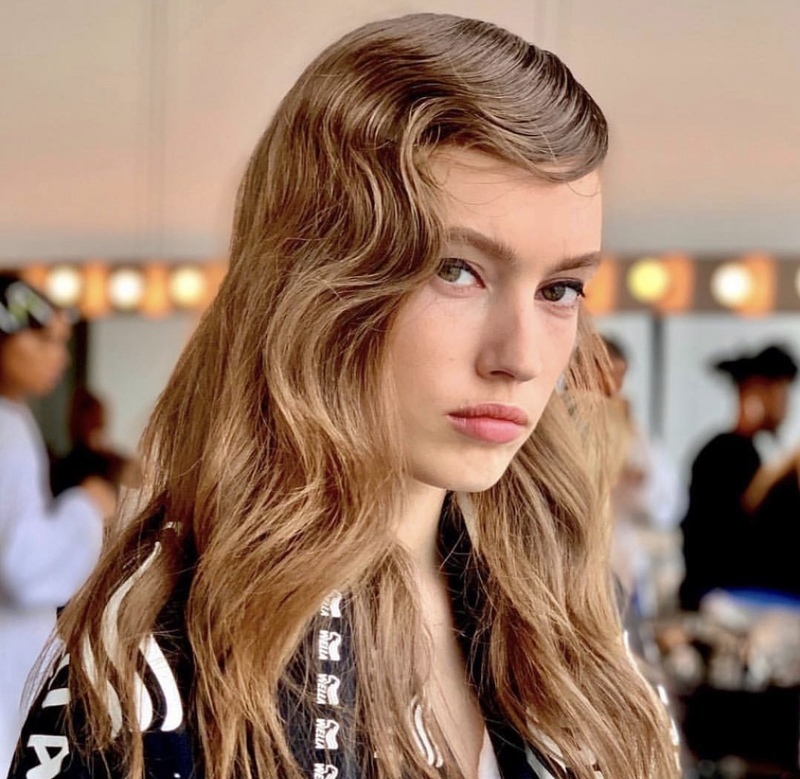 A challenge with Fashion Week hair, especially more avant-garde styles, is to turn those looks from the runway into wearable styles for our clients. Do you think this fringe is wearable and can be considered a realistic request? I would just go for it. I personally love texture in bangs or a fringe, but it's all what the client feels comfortable with. We all have to remember that. Another thing you can’t help but notice on this look is the sleek finish. How would you recreate this finish in your Sola? I would use high shine products that don't look greasy and that have flexible silicones in them. 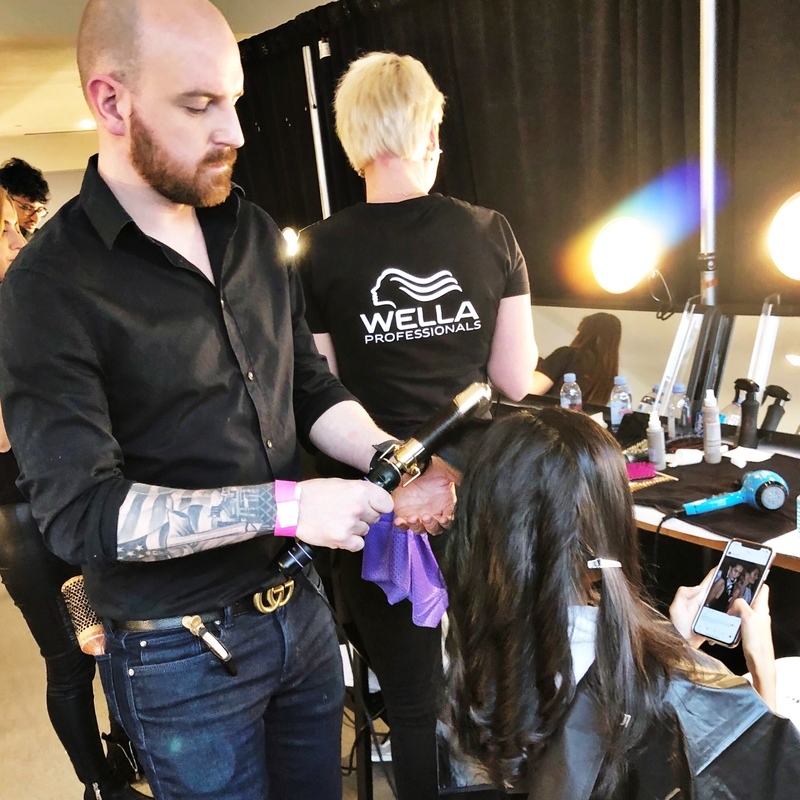 What are some trade secrets you can reveal about backstage styling that stylists can use in their Sola for everyday clients, or when they do special occasion hair? Pay attention to detail. It's all about detail and following the direction of the Hair Director and their creative team. It’s about teamwork and working together to create cohesive looks for the designer and their show. As a business owner at Sola, it’s about you and your clients. You’re in a different arena and it’s about being part of the team. Another “secret” is networking. Even though we work by ourselves every day, it’s so important to network with other stylists and be part of the community because you never know where one stylist or beauty professional can help you out in another way. Any advice you can give to Sola stylists who want to one day work backstage at Fashion Week? Just ask! If you use a specific brand in your salon and they are at NYFW, ask your rep. All they can say is “no,” but keep asking to lend a helping hand. Know that you are volunteering your time, but the value you put on yourself as a stylist and business owner afterward is priceless. What are some preconceived notions hairdressers have about Fashion Week that needs to be removed from the mindset? No matter what your level of experience is in hair, your ego has to be out the door. It's all about the direction of the lead hair stylist and their creation for that designer. We all work as one cohesive team no matter how long you’ve been in the business. What designer would you love to do lead hair for and why? It can be someone living or from the past—your choice. My dream would be to work and do hair for Tom Ford. He is just an icon within the beauty and fashion industry and watching the work him and his team puts into a show is hands down one of the most flawless finishes to his brand. We have just one more question for you—what happens after New York? LA or Paris Fashion Week? Have you considered going international? NYFW is a huge accomplishment by itself, and with my years of networking, my next goal is for Milan. I am also working on Miami Swim Week with certain brands. Milan and Paris are huge goals of mine and I know that I have to bring my A-game for those shows. It will happen. It just has to be the right time.